I need my chicken to be tender and delicious. This simple trick works every time without fail. Say goodbye to tough nasty chicken for ever more. I use this method for cooking my chicken every time weather if is for chicken tacos, chicken Alfredo, or chicken for the main dish. First marinate or season your chicken anyway you like. 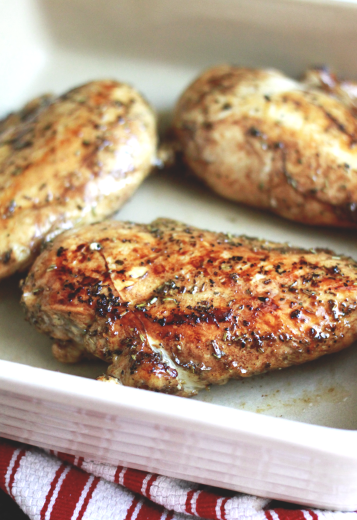 This time I marinated my chicken with a little garlic, balsamic vinegar, olive oil, and rosemary. 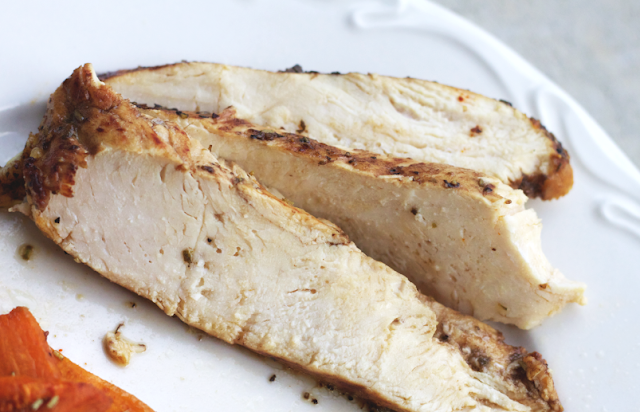 In the past I have rubbed taco seasoning on each side of the chicken breast. I have also use BBQ sauce. The skies the limit with how you can flavor your chicken really. 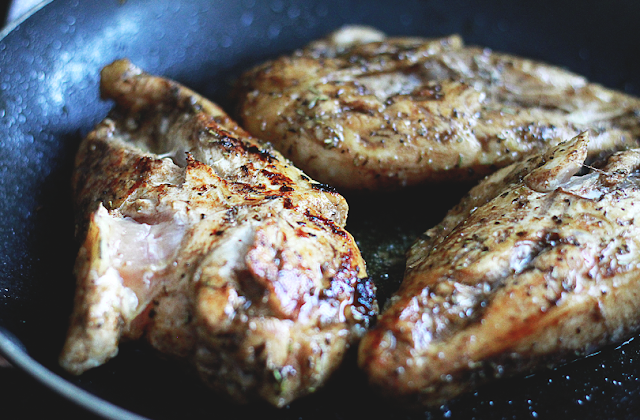 Next, heat up a skillet on med-high, with a little olive oil in it, and brown both sides of the chicken breast. I like the outside of the chicken to be nice and crisp. Now that both sides of the chicken in nice and brown, pop them in an oven that has been preheated to 425 degrees for 20-25 min (depending on the thickness of your chicken). When they are finally done I take them out of the oven and let the rest for about 5 min. 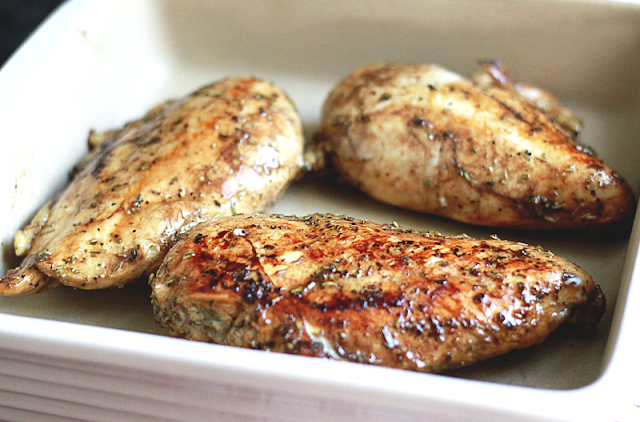 This makes the chicken even juicier and more tender than if you were to cut into it right away.